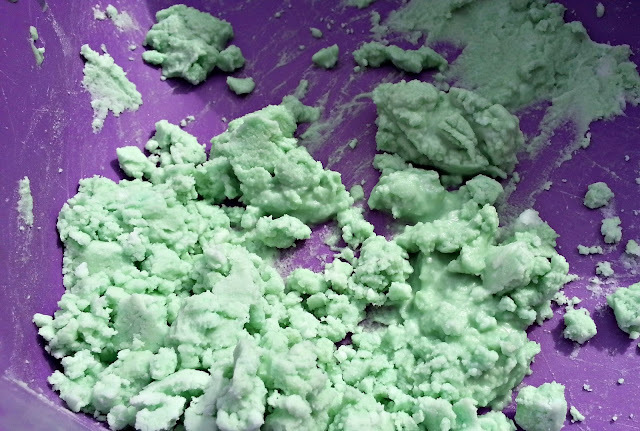 My sugar coated life...: Frugal family summer: Make your own play 'dirt'! Frugal family summer: Make your own play 'dirt'! Like most kids, my boys love getting dirty. There's quite a big age gap between my 8yr old and 3yr old but I find messy play brings them together by appealing to their dirt lovin' boyish nature. 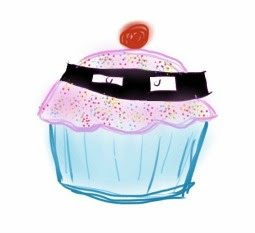 In my search for frugal summer activities I have been trying to use household items to create messy play activities the boys can indulge in at a moments notice and without too much effort on my part (I'm still working throughout the holidays) and that generally means raiding the pantry! 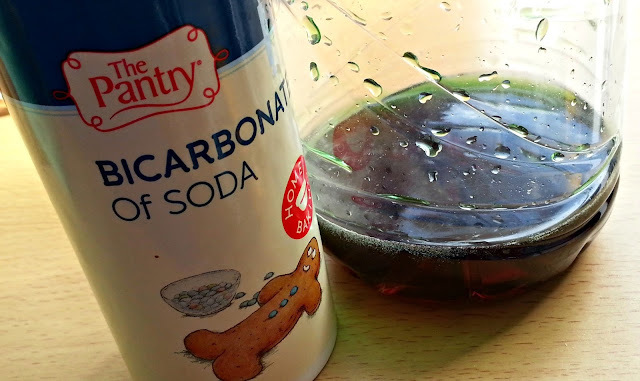 I've come across a few recipes that use bicarbonate of soda as the main ingredient and as a baker I always have it on hand. It's very safe for the kids to play with too and is edible so I know if they *did* eat a bit that it wouldn't harm them. 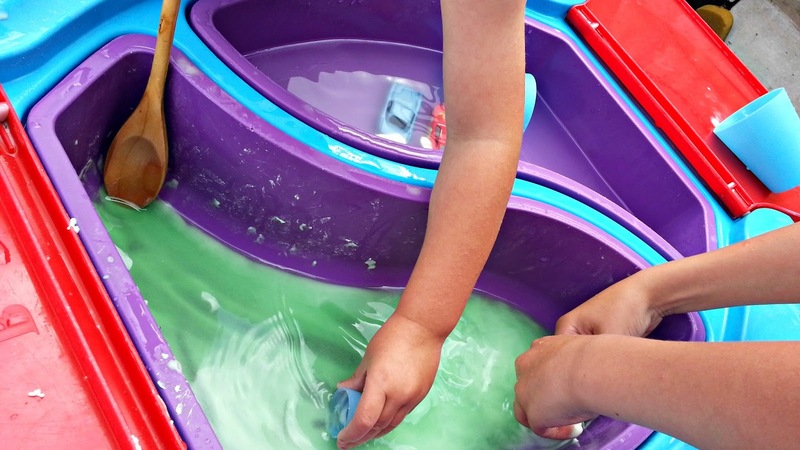 This play dirt is really fun, you can use it to make your own indoor play garden in the bath but we used it outside in the water table and it's a great sensory activity. The 'dirt' feels really mouldable and soft and when we make it again I'll make lots more so the kids can really indulge and hide toys/cover toys to their hearts content. 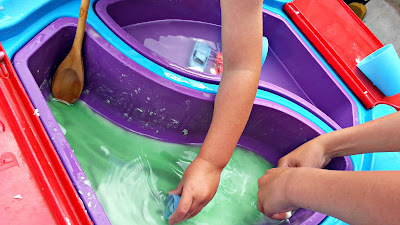 You only need 2 ingredients for the play dirt but they're aren't specific measures so you'll just have to play around until you get the right consistency as I think it's dependant on the weather and also if you play inside or out. Add bicarb to dry bowl. Add water 1 tablespoon at a time and mix well until desired consistency is reached. The less water you add the more realistic the 'dirt' texture but we added a bit too much so it was quite moist and mouldable. After the boys finished playing with their play dirt they then added more and more water until the dirt took on a sludgey appearance which was even more fun! 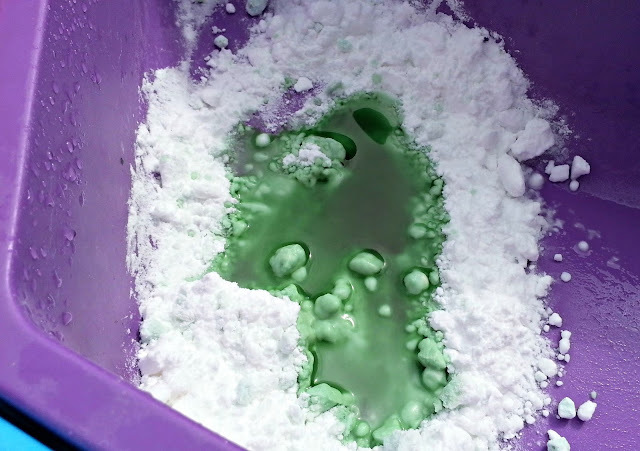 NOTE: Bicarbonate of soda is a well known cleansing agent so I washed the watered down remnants down my sink for an extra boost to the kitchen cleaning I was doing that day! Frugal family summer: shaving foam fun!